As digital marketing increasingly becomes more and more measurable, there is no reason brands should not understand the effectiveness and reach of their social media. Gone are the days when traditional PR and media strategies relied on the “spray and pray” method. Today, businesses can know exactly where, who, what, and why an influencer or customer mentions their brand. The advantage of this is the ability to engage with users in real-time and activate the data received. The ultimate goal for brands? To understand whether or not their messages reach their intended audiences successfully. Here at Talkwalker, we are always plugged into the conversation and understand first-hand the importance of measuring a brand’s online presence. 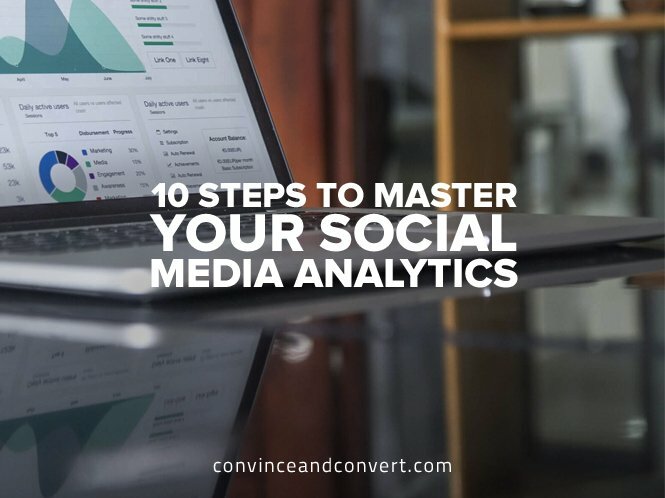 So, alongside the checklist below, we’ve also put together a simple 10-point infographic for social media analytics to help you with every step of the process. The first step in a measurement plan for social media analytics is to work out what you want to track and why. For example, do you need to check the performance of your latest campaign or understand the growth of your social channels? Look at past performance (and competitors), and set goals. Make sure your goals are well-defined and measurable, so you can compare performance campaign-over-campaign. Set clear time-frames for monitoring, so you’re not comparing apples to oranges. Strategic timing will also keep you accountable for the goals you’ve set. Once your monitoring period has begun, create alerts to track unusual spikes in activity. Alerts can help you to react quickly and activate the data you receive immediately. For example, say an influencer tweets about a product with your brand logo. Brands can tweet at the influencer and use the mention to spur further conversation right away. Check results to ensure they’re relevant, and filter if necessary (monitored keywords). Keyword filtering can be super helpful to ensure unnecessary results don’t end up in your social data. Always check your top themes and influencers to see if message refinement is required. There’s a chance that certain keywords you may not have expected are linked to your brand, so make sure to evolve your messaging. Once your monitoring period has finished, collate key metrics on one dashboard or export as needed. Platforms like Talkwalker’s dashboard allow you to keep all monitored metrics in one place for seamless reporting and exporting to combine social data with other data sets. Make sure to plot new data and pre-set goals side by side to measure performance effectively. A side-by-side data visualization can make it much easier for brands to understand the big picture, especially when reporting to managers. Take a look at social media analytics beyond original planning to spot elements that could be incorporated next time. Make sure your monitoring evolves to take into account new factors about your brand including new competitors or new keywords for dynamic industry sectors. Share reports (beyond marketing and social teams) to all internal departments who could find social listening data useful. Maintaining a transparent organization amongst team members will always win results past departmental goals and lead towards overall organization objectives. An effective social media analytics and monitoring plan requires preparation and real-time data that can be analyzed and strategically employed. Social intelligence platforms like Talkwalker help brands and social media professionals activate the steps above for their everyday duties. By having a clear social media analytics plan, brands can improve social media performance, increase customer happiness, minimize corporate risk and loss in revenue, and evaluate campaign performance more effectively. A version of this post originally appeared on Talkwalker.com. Liesa is part of the content team at Talkwalker (the loudest part, some might say). Her mission is to help marketers navigate the listening and analytics parts of their jobs. When she's not doing research or writing, she can be found spending too much money in the local bookshop. Follow her on Twitter or LinkedIn for everything analytics, plus updates about her mustard obsession.